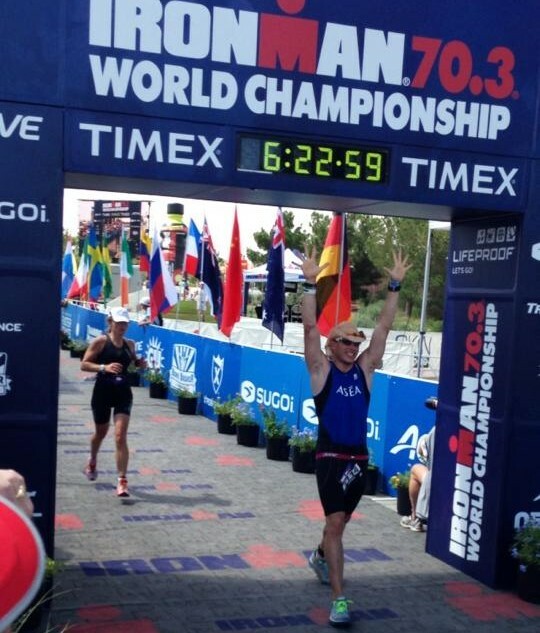 How many Ironman length races can one person complete in a year? In 2012 James Lawrence crushed the previous record by completing 30 full-distance triathlon races. Watch any race he is in and you will be able to point him out. Lawrence is more commonly known as the Iron Cowboy: a title he received from wearing cowboy hats during the run portion of his races. 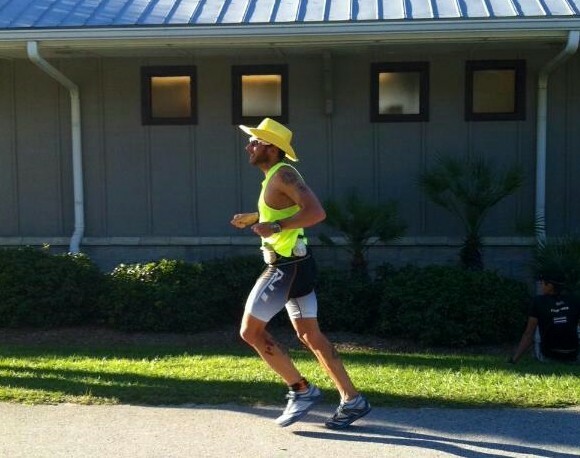 What does it take to finish 30 Ironman races in one year? A lot of hard work, a lot of support from family, and a lot of training. One might assume that someone who can do more than 30 full-distance races – each race is comprised of a 2.4-mile swim, a 112-mile bike, and a 26.2-mile run – has a long history with triathlons. But in truth, the Iron Cowboy only discovered his passion nine years ago. The world record holder could barely finish four miles before setting out on this endeavor. It all started when Lawrence’s wife signed the two up for a fun four-mile run, in which Lawrence struggled. Lawrence, athletic as a wrestler, had to start from scratch when he decided to take up triathlon for sport. After the economy tanked, he decided to make it his career. “Successful” is an understatement. But it wasn’t an easy path. When Lawrence began training, he looked like an athlete on the outside but lacked the cardiologic and respiratory strength necessary for endurance sport. When Lawrence undertook the daunting task of completing 30 Ironman races in one year, he didn’t do it alone. Figuratively, he had an incredible group of people supporting him through his journey. 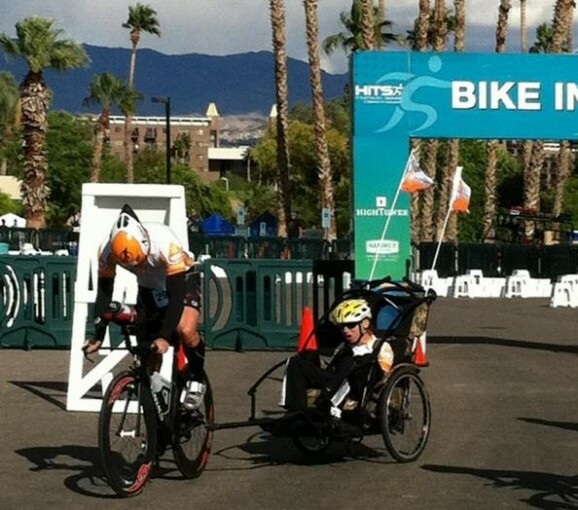 But quite literally on his 27th Ironman, he had a little boy named Dayton, who was with him throughout the entire race. Dayton suffers from cerebral palsy. Lawrence approached the boy’s family so that Dayton could be part of the world record, as well. They agreed. Although there were some mechanical issues along the way, Lawrence and Dayton completed the race on the way to making world history. 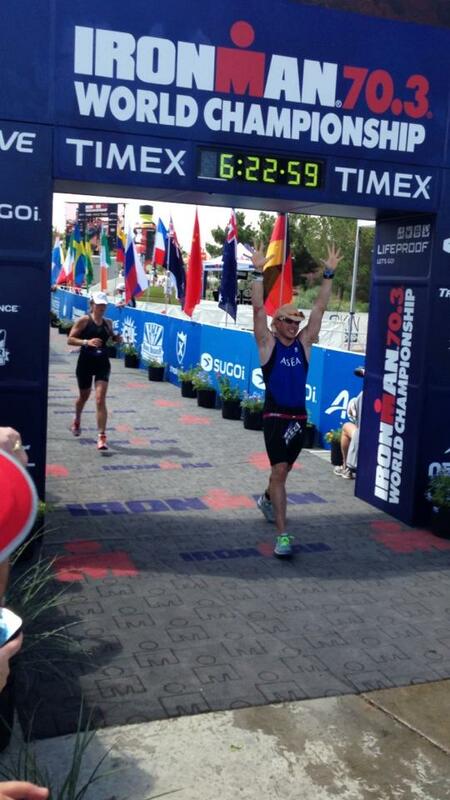 Even after beating the world record with his 30 Ironman races, Lawrence’s passion for the sport continues. His enthusiasm is even proving to be infectious. In November, his wife will complete her first Ironman, and his 9- and 10-year-old daughters are about to compete in their first Olympic Distance races. Only the Iron Cowboy and a select few know what’s in store for the future, but he hints that something big is on the horizon. Unfortunately, we’ll have to wait until 2015 to find out what that is. For more information on the Iron Cowboy, check out his website or his Facebook page.